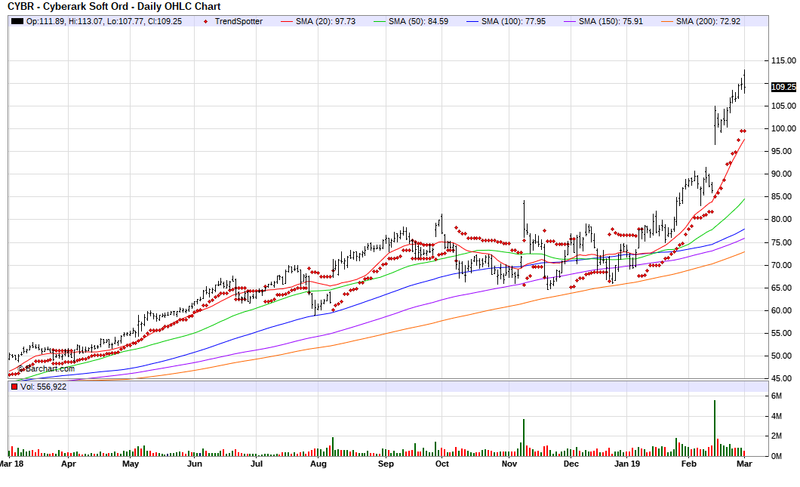 The Barchart Chart of the Day belongs to the IT security company CyberArk Software (CYBR). I found the stock by sorting Barchart's New All Time Highlist first by the highest Weighted Alpha, then I used the flipchart feature to review the charts for consistent price appreciation. Since the Trend Spotter signaled a buy on 1/10 the stock gained 39.25%. Disclosure: I/we have no positions in any stocks mentioned, but may initiate a long position in CYBR over the next 72 hours.